Undoubtedly one of the decade’s most anticipated novels. Le Carré expertly draws the dark secrets of the Cold War into the present. A masterful thriller that considers the terrible price of history. Intelligence operations that were once the toast of secret London, and involved such characters as Alec Leamas, Jim Prideaux, George Smiley and Peter Guillam himself, are to be scrutinised under disturbing criteria by a generation with no memory of the Cold War and no patience with its justifications. 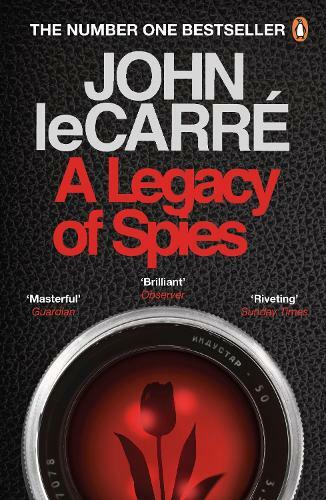 Of le Carre’s fiction, The Guardian commented ‘…he invokes deep, almost religious ideas of betrayal, trust, faith, and that’s why we love it’. One of the greatest spy novelists of all time, John le Carré was born in 1931. His third novel, The Spy Who Came in from the Cold, secured him a worldwide reputation, which was consolidated by the acclaim for his trilogy Tinker Tailor Soldier Spy, The Honourable Schoolboy and Smiley's People all featuring his most famous character, George Smiley, the quintessential Cold War operative. An antidote to Fleming’s racier James Bond, Smiley is cool, thoughtful, somewhat academic and (superficially) “breathtakingly normal” with a somewhat ambivalent attitude to the Service and its efficacy. His other novels, thrillers which range widely covering variously political issues of the arms trade, modern conflict and drug-trafficking, include: A Most Wanted Man, Our Kind of Traitor, A Delicate Truth and the recently adapted The Night Manager. His only work of non-fiction, The Pigeon Tunnel, was a Number One bestseller in 2016. I’ve just about caught my breath, having devoured this in the last 48 hours. It’s certainly my favourite book of the year, by miles, and I’m not sure anything else will come close.